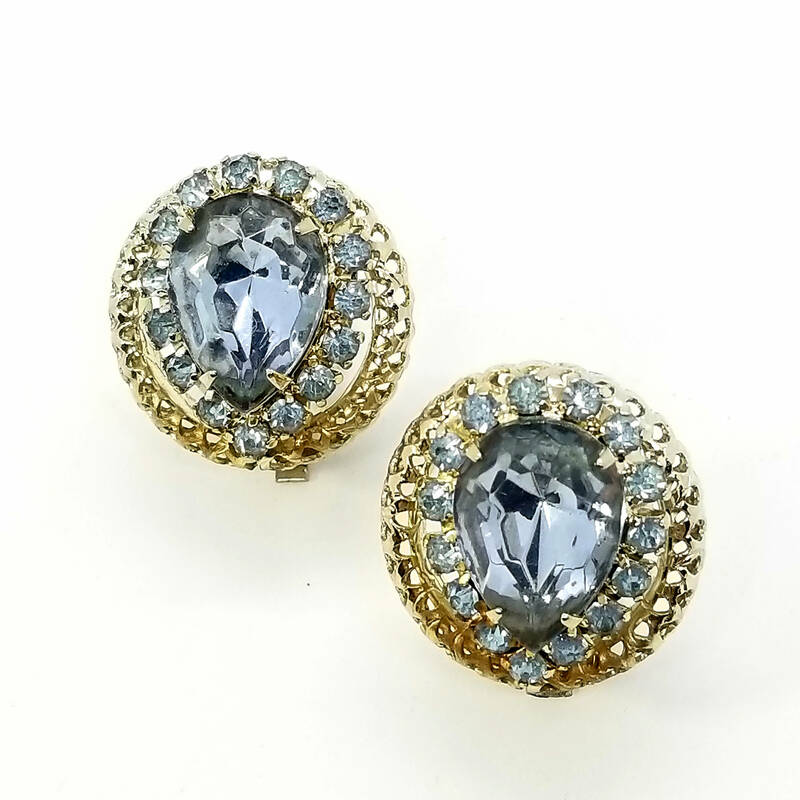 Classic, classy vintage rhinestone earrings in filigree silvertone, with baby blue rhinestones. 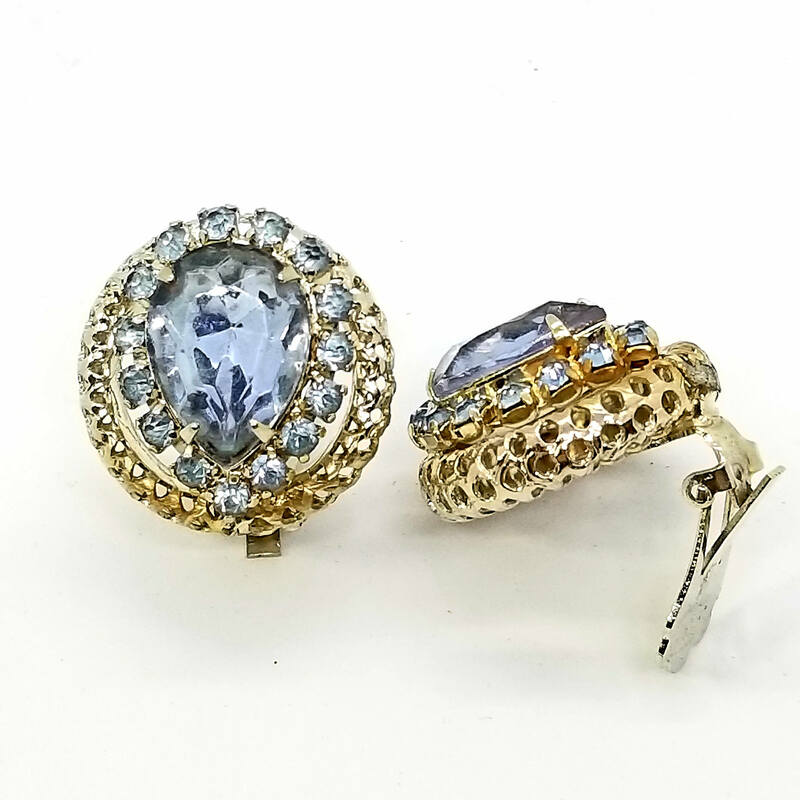 A central prong set pear-shaped rhinestone is surrounded by small round prong set baby blue rhinestones. 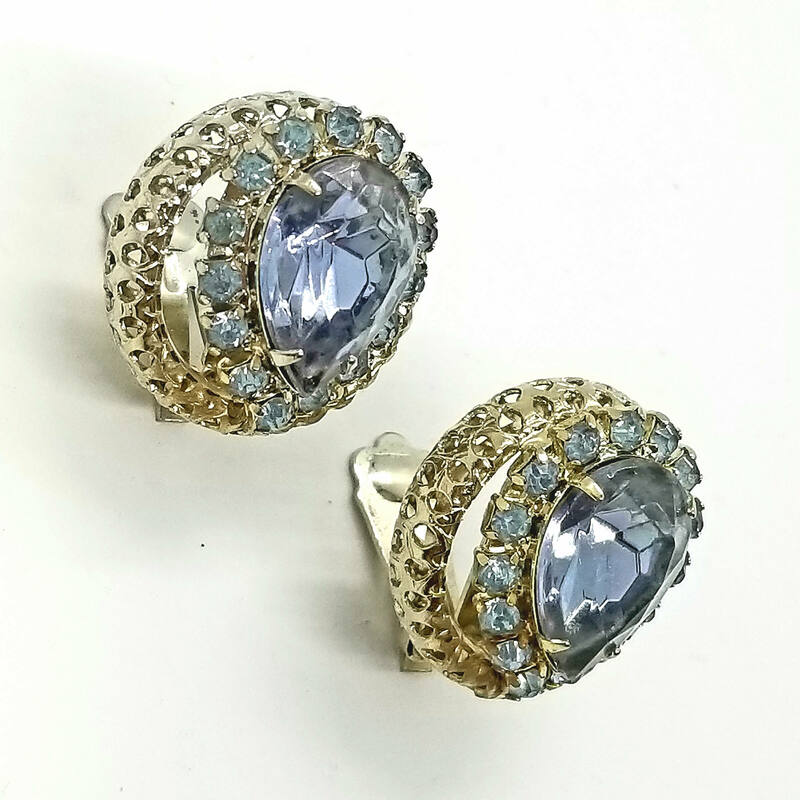 A silvertone filigree metal ring forms the backing. Note that the earrings are silvertone - the gold shading is a photographic artifact due to the lighting. 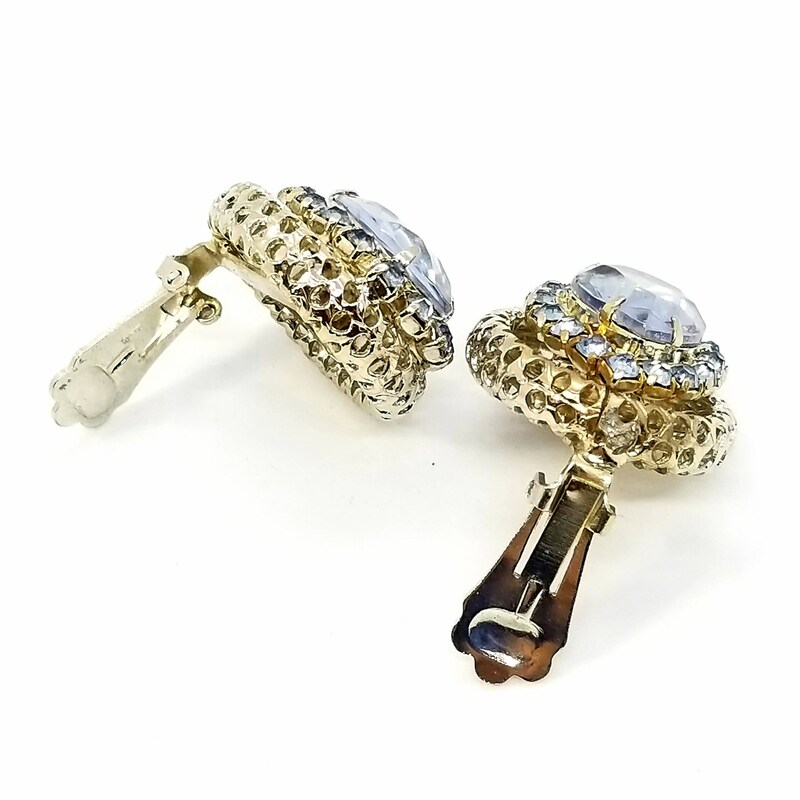 Excellent condition - earring paddles are tight, the rhinestones are bright and unclouded. 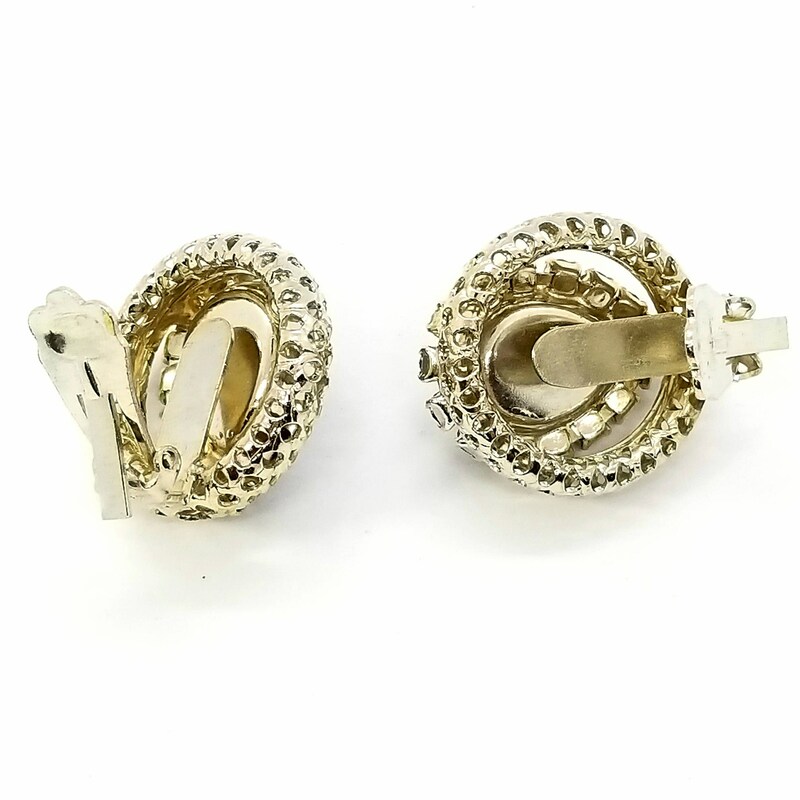 There is a small puddle of solder at the bottom of one earring, which may be original to the piece. Each earring measures 1-1/8" long x 1" wide.